It’s become the rallying cry of an entire nation. With one sentence, software engineer John Tyner has gone from unknown man to international sensation. When Tyner told Transportation Security Administration agents, “If you touch my junk, I’ll have you arrested,” he sparked a viral video sensation and a national outcry against improved security screenings at airports. Tyner recorded the entire thing on his cell phone and posted it at his blog. 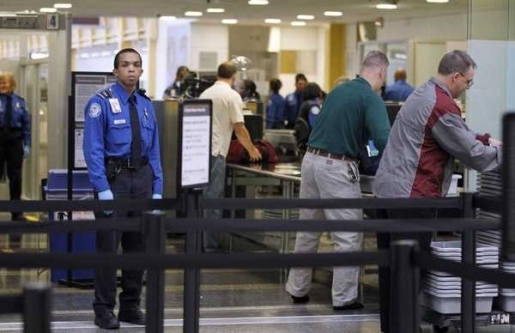 Tyner was protesting the so-called groin check that TSA agents can perform if someone refuses to be scanned by the airport scanners that can see through clothing. Basically, it’s like a standard pat-down, but more invasive as it involves direct contact with several personal areas of the human body. Honestly, I’d rather just go into the airport wrapped in a robe or flasher overcoat, then just get naked for my trip through security, then get dressed again on the other side. It seems like it’s less invasive than what they’re currently doing to screen for weapons!